Stamp collecting is considered to be one of the most popular hobbies in the world. This is despite the fact that there is not that much money that can be made from it even if the person has some of the oldest stamps dating back to the 19th century. Various United Stamps have been issued with a hidden image incorporated into the design. Usually this image is a single word, short phrase or object, or a combination of these. The four Early Football Heroes issued some years back all feature a hidden image—a stylized running football player. Compared to other collectible items, stamp collections only require inexpensive supplies and accessories. These tools are essential in securing, protecting, and preserving any kind of stamps. Each stamp should be handled and cared using these tools to ensure that stamps would last a long time. Thank goodness, stamp collecting is not as expensive a hockey or skiing, where the tools and materials required cost thousands of dollars. Hockey or ski clothes are very expensive. Obviously the first step is to acquire stamps. Many beginning collectors hardly pay for anything when they’re just starting to build a collection. Talk to your friends and family and colleagues in the office and simply tell them you’d like to have their stamps if they don’t want them. Philately, or the study of stamps, is a huge field of study that has captured the attention of many Americans over the years. This fascination with stamps and the history that surrounds them has led to a hobby related to philately, which is collecting stamps. There are two types of varieties that are more than 45 years old that often cause confusion among stamp collectors who like to catch printing flaws: joint lines where they are not expected and plate numbers or design elements with a ghost impression. The most successful of all the Russian Bolsheviks early attempts to export revolution resulted in the establishment of the Hungarian Soviet Republic, which lasted only from March 21 to Aug. 6, 1919.The Hungarian Communist Party was formed in 1918 in Moscow under the leadership of Bela Kun. You will probably meet very few people who say they have never collected anything in their life. But there are people, even when not deliberately collecting a particular object, who tend to have more than one of the same thing. “You can’t tell a book by its cover.” This is an old adage you may be familiar with. This adage can also be applied to postal history too. You really can’t tell the interest of a cover until you read the contents of the cover. Stamp collectors have always been presented with a choice of collecting mint stamps or used stamps. Which is better to collect? Collectors have been split over this issue over the years. The overall majority of collectors swing one way or the other with a few collecting both ways. Collecting stamps is a widely loved hobby all over the world. Stamps are pieces of history which has value that is sought after by the whole world. Collecting stamps is also a hobby that most people can engage into because of the minimal expenses that it requires. Many philatelists collect stamps exclusively. Other collectors are only interested in covers, which are envelopes, postal stationary or similar items that have been postmarked or traveled through the mail. Is A Stamp Expertizing Certificate Necessary? Is An Expertizing Certificate Worth Getting? Is it cost effective to get a certificate of genuineness when a stamp has a catalog value $100, or less, and the sale value may be half of that or less? And what if you have an uncataloged variety that is relatively minor, but important to your study of a given issue? Passing references have been made in some stamp collecting publications about resubmitting items for expertization that have come back with no, or negative opinions. One recent article highlights new technologies that invite collectors to resubmit items for certification. Stamp collecting is one hobby that is loved all over the world. Aside from the wonderful experience that stamps give to the collectors, it is also a very inexpensive hobby. Stamp collecting is a very old hobby and is considered to be one of the most popular hobbies in the world. Though there is not that much money that can be made from this hobby unlike collecting coins, some people just do it for the fun of it. Over time the Falkland Islands, which is an archipelago of some 778 islands in the South Atlantic. Have been claimed by many nations, beginning with France in 1764, followed soon after by the United Kingdom and Spain. Argentina and Chile have also made efforts to claim the Falklands as their own. Since its inception on May 6, 1840, “postage stamps” had been a part of history as it unfolds the greatest line of creations that the society is enjoying up to this day. You Inherited A Stamp Collection, Now What? Here is an all too typical situation, you have just inherited a stamp collection, about which you know nothing nor even care too. Surprise, surprise, surprise…none of your grandchildren have even the slightest interest in stamps or the collection itself. So what do you do now? What are your options? A stamp is a small piece of paper that is glued to the envelope whenever a document or a letter is sent via the post office. This is used both locally and internationally as a fee for the service rendered. Prior to the invention and increased public use of the telegraph and telephone in the 19th century, people primarily communicated long distance by mail. When they had a message to send, they often wanted it to get to its destination as quickly as possible. The very first stamps that came out did not have perforations, but cutting them became cumbersome. Perforating machines came into use to solve this problem. They punch holes vertically and horizontally so that stamps can be torn from the sheet more easily. An introduction to collecting stamps. Stamp collecting is one of the most popular hobbies among Canadians. Canada has great respect on Stamp collecting which dates back to as early as the 17th century. n order for the hobbyist to maintain an existing collection, this should be stored in a safe place free from dirt and other problems. Some people encase it in glass while others put it in a shelf. For people who collect stamps, the best place to preserve it is in an album. Ever since the world began, humans were born to get busy. This is the main reason why most of the people are engaged into different activities life sports and different hobbies especially if they have nothing to do. A stamp collector who specializes in collecting 19th century U.S. stamps, stationary, and postal history keeps running into the issue of what colors should the authentic stamps he collects actually appear as? The colors seem to vary making it difficult for him to expertize these stamps on his own. Finally, it had taken more than a century of discussion, to have reached this point. But after following many studies and committee reports, the announcement from the British Chancellor of the Exchequer came in March 1966 that the United Kingdom would decimalize the pound. Thanks to the advent of technology that has made almost any chore less time consuming. Now, more people can indulge more on various hobbies. One age-old past time that never loses its luster is stamp collecting. In 1955, four stamps with a famously misprinted upside-down plane were stolen from a stamp convention in Virginia. After more than 60 years on of the stamps has resurfaced. Linns.com has announced that they have been approved as a Google News publisher. Their website is now included in results for Google News searches and in Gmail Google news alerts. Google News offers users the ability to personalize the content that appears on the news site. Six new stamps from the United Nations Postal Administration promote public education campaign to raise awareness for lesbian, gay, bisexual, and transgender equality. The name of the campaign is "Free & Equal" which is inscribed on each of the six UNPA stamps issued on Feb. 5. The United States Postal Service welcomes in the Year of the Monkey with a new nondenominated (49¢) forever stamp that features red-orange peonies from artist Kam Mak, and a small cut-paper image of a monkey based on a previously used design by artist Clarence Lee. With the publication of Vol. 2 of the Philatelic Book of Secrets stamp collectors can become more knowledgeable about stamp expertizing. This book is a special edition of Stamp Market Quarterly, the expertizing firm's official publication. The United States Postal Service till has two stamp printing firms under contract, but the ownership for one firm has changed. The USPS announced that the CCL label of Clinton, S.C. has purchased longtime tamp printer Sennett Security Products and its Banknote Corporation of America operation. Collecting stamp is a very famous hobby. It is a very easy activity that provides fun to many. If you would like to start your own collection of stamps, here are ome tips to get you started. Examining the pages in your stamp albums may seem to be a boring exercise, but it is a great place to start. As you carefully turn page after page in your album, look for loose mounts or stamps with faulty hinges. Great Britain's Royal Mail has introduced a much simpler flat-rate charge structure for most letters and packages that are franked with insufficient postage or none at all. An Oct. 2 press release from the Royal Mail indicates that the new pricing structure was to go into effect on Oct 5. Many collectors do not pay enough attention to their stamps. you acquire a stamp, you look long enough at it to find a place for it in your album, and then you move on to the next stamp without giving any thought to the stamp you have just mounted. Dictators On Stamps Of The World. You have received a "No Opinion" certificate on an item you had submitted. Now what do you do? When you receive a "no opinion "certificate, you need to know why. Sometimes the expertizing house will tell you why, especially when there is not enough on-staff experts working there. The Postal Service has a number of publications that may be freely available at your local post office. One of these publications is aimed at youth and is titled "Become a Stamp Collector." Within its instruction is the advice that stamp collecting is "It's As Easy As 1-2-3!" Expertizing certificates often tell you more than the primary facts that you wanted to know as to whether the stamp in question is real or a fake. The certificates often note other findings related to the condition of the stamp--or whether certain aspects of a genuine stamps have been "improved." Do You Need Stamp Expertizing? Does a postal administration have an obligation to produce accurate representations on its stamps? If you live in one of the nations whose philatelic agents churn out stamps with little regard to accuracy or whether the stamps are used on mail within the issuing country, the answer is probably none. Megan Brennan, the New Postmaster of the United States Postal Service, has announced that Postal Service has halted plans to close upwards of 82 mail processing plants this year. One commentator has called this move “an early sign of enlightened leadership” by the new Postmaster. With the advent of machines that can weigh a package and then print out a computerized label for postage, all in one quick transaction, why do postages stamps still exist? No they are not being printed for the exclusive use by collectors to put into a stamp album. In 1934 Congress enacted the National Firearms Act. This was in response to urgent requests of federal police and other investigative agencies. The law was intended to limit the possession and transfer of highly dangerous and destructive weapons. What is a Stamp Expert? There is no governing set of rules or standard practices to which stamp dealers are expected or required to adhere to. As such both buyer and seller engage in a bit of theatrics to establish some kind of ground rules at the point of sale. Vanuatu is an archipelago comprising more than 80 small islands, 12 of them being fairly large, in the western Pacific Ocean. The original inhabitants were Melanesian, and Vanuatu is still considered as being of this cultural identity, but the population today is much more multiracial. The United States Postal Service has issued a new stamp featuring Maya Angelou’s portrait and a quote attributed to her. The quote is:”A bird doesn’t sing because it has an answer. It sings because it has a song.” In 1969, she published an autobiography titled I Know Why the Caged Bird Sings. By definition, when an object is considered as a work of art, it simply means that the object is the result of a creation of an item using the valuable application of a mass of expertise along with an array of talents and cleverness. Since its inception on May 6, 1840, “postage stamps” had been a part of history as it unfolds the greatest line of creations that society is enjoying up to this day. In stamp collecting, stamps do not have to disappear or go kaput before somebody knows or understands their value. In fact, people had long been knowledgeable about the value of stamps that is why stamp collecting was born in the first place. Since the dawn of postage stamps, stamp collecting had been one of the most popular hobbies since then. With over 20 million of stamp collectors in the United States alone, stamp collecting is definitely a solid form of leisure pursuit that nobody can easily eliminate in the American history. Collecting stamp is a very famous hobby. It is a very easy activity that provides fun to many. Obviously the first step is to acquire stamps. Many beginning collectors hardly pay for anything when they're just starting to build a collection. Talk to your friends and family and colleagues in the office and simply tell them you'd like to have their stamps if they don't want them. Stamp collectors spend hours looking for errors. It seems that laughing at people's mistakes is a favorite human pastime. The same theory goes for stamp collecting. Collectors have a great time when they do spot an error. hank goodness, stamp collecting is not as expensive a hockey or skiing, where the tools and materials required cost thousands of dollars. Hockey or ski clothes are very expensive. Much like any other hobby, stamp collecting has its own terms and special lingo. In this article a few of these terms will be explained. The world’s oldest stamp collection is believed to belong to the Royal Irish Academy in Dublin. It is an album of revenue stamps and handstamped chargemarks compiled in 1774 by John Bourke, Receiver General of the Stamp Duties. The United States Postal Service recently announced that it will not raise stamp prices in January of 2015. As such you can expect the current stamp pricing to remain in effect through the holiday season and into the early part of 2015. A first-day cover is supposed to be cancelled on its first day of being issued. The chances are great that any modern first-day cover you have in your collection may not have been cancelled on the first day of its issuance. Why is this you may ask? We all know about the financial woes of the Post Office and Congresses’ seeming inability to deal with the issues. The simple fact is that the Post Office is powerless in asking Congress to deal with the continuing deficits it keeps facing. Stamps have been in and out of the media of late. In June an 1856 one cent British Guiana Magenta stamp fetched around $9.5 million at auction. The selling price no doubt put rare stamp investing into the media spectrum. The giant online Internet auction site eBay, has discontinued two programs that were created to protect collectors from fake and questionable sales. The two programs reviewed stamp and coin sales on its auction website. The closings were not well publicized to the public at large. Many varieties of computer-vended stamps can now be found on mail. Some of the computer-generated fakes feature the Mr. ZIP design that are sold in the Automated Postal Center machines found in many post office lobbies. It is not that uncommon to encounter fake Stamps.com postage labels. The use of bisected stamps has a long but less than honorable history in the United States. Bisect refers to stamps that have been cut in part, most commonly in half, but into other fractions also, and postally used for the proportionate value of the stamp. In a recent article I discussed the graying of stamp dealers and collectors. One could consider these components of a larger ecosystem of sorts. Some experts claim that the stamp collecting ecosystem consists of three major components. Is A Stamp worth Expertizing? In order to expertize a stamp, you need the right tools available to you. These tools are readily available to most stamp collectors. Once you have acquired them you need to learn how to use them, in order to make the types of judgment real expertise’s make. As the old saying goes, all good things must come to an end, and such came to pass for domestic airmail service on May 1, 1977. This was two weeks shy of airmail’s 59th birthday. Between May and September 1971 a scientific management team conducted extensive tests to evaluate the overnight efficiency of intercity airmail deposited in dedicated collection boxes by 4 p.m.
On January 26, 2014 the USPS added a new pricing category called “metered mail” for a single first-class letter. For letters up to the 3.5 ounce weight limit franked with a meter imprint or any “postage evidencing system postage,” the first ounce cost is 48 cents. One of more recent articles, chronicled the introduction of the $19.99 USS Arizona Memorial stamp. A press sheet with or without the die cuts, comprise three panes of 10 stamps and sell for $599.70, a bit shy of $600. Jimi Hendrix is to be honored on a new United States forever stamp on March 13, 2014. Hendrix (1942-70) skyrocketed to fame with his mastery of the electric guitar. He literally transformed the world of rock music in the 1960s with his innovations and technical skills. On April 11, 2012, the U.S. Postal Service issued a nondenominated (45cent) Flowers by William H. Johnson forever stamp in the long-running American Treasures series. William Henry Johnson was an African-American painter born in Florence S.C. in 1901. The American Philatelic Society is looking to hire a new director to reverse their declining membership. There is still a lot of controversy about the Harry Potter Stamp Series. Traditionally, only famous dead people, events, things worth commemorating, etc. have been featured on American stamps. The United State Post Office had planned to create 5,000 sets of Inverted Jenny stamp if the demand warranted it. As such, only 1,900 sets of the $200 sets have been sold. So much for the non-existent inflation rate that the government keeps trying to convince us does not exist. The price to mail a first-class letter is going to jump to 49 cents. Most examinations of stamps have not progressed very far from using a magnifying glass, perforation gauge, or watermark fluid, or some combination of these techniques. The previous two decades have witnessed several remarkable advances in the use of analytical methods to study stamps. Amid of all of the red ink that the United States Postal Office has racked up recently, there is a bit of good news about stamps. The major news is that the Post Office has announced a seventh consecutive year of losses. The United States Postal Service has teamed up with SpongeBob and the Nickelodon television network in a new campaign that will encourage children to write letters and use the mail. Traditionally, the U.S. Post Office has catered to stamp collectors rather than marketing stamps towards non-collectors. Apparently this tradition is falling by the wayside. Recently the Post Office issued a series of stamps that honors the Harry Potter characters. What is radical about them is that some of the stamps feature the images of the actors playing the various Harry Potter characters. Here the Post Office is getting into a grey area. One of the most interesting stamp lotteries is underway at a post office near you. With a move, guaranteed to drive many stamp collectors bonkers, The U.S. Postal service has intentionally issued 100 souvenir sheets of six $2 Inverted Jenny stamps with the plane right-side up. Beginning in 1852, federal law required full postage to be paid on all letters transported and delivered out of the mails by enclosing them in sealed, dated, and canceled stamped envelopes. The market value of any stamp is what you pay for the item. That price could be above or below catalog value, particularly if the grade is higher than called for in the stamp catalog. What Story Is Behind My Stamp? A stamp has many stories it can tell you, if you only look behind it. Stamp collectors refer to the adhesive substance on the back of a stamp, which traditionally needed to be moistened to stick the stamp to an envelope as “gum.” The term is taken from the words gum arabic, which is a derivative of the acacia tree. Stamp collecting has a much larger body of literature and resources than most other hobbies. There are specialized stamp-collecting libraries, which are open as research facilities, and have handbooks and monographs numbering well into the thousands. Is Your Stamp An Overprint? What is an overprint? An overprint is an additional printing on a stamp that was not part of the original design and causes the stamp to be considered to be a new stamp. After the overprint is applied, the stamps takes on a new identity. You would have to question the sanity of people who choose to forge stamps. One only has to consider how many things have to be done to make a stamp look like the real thing. What Makes A Stamp Expert? Before you decide to start housing your stamp collection, you need to do some preplanning. This can be as simple or as complicated as you want to make it. One of the first things you need to consider is to make sure that your storage location is dry and not subject to extreme temperature swings. Many types of stamp auctions exist, but what you need to know about them is what are the gray areas relative to each type of auction. The terms of sale for each auction types is either in the printed auction catalog or somewhere on the auction’s website. Stamp collecting is a hobby that can appreciate over time. That is, if you purchase your material wisely and increase the size of your collection accordingly. With the right effort your collection could easily grow in value. No matter how you start collecting stamps you are going to have to venture out further to find new specimens for your collection. Once you have exhausted your own mail and whatever your friends, neighbors, and relatives save for you, you will need to think a bit out-of-the-box. It used to be that you could get a lot of stamps from the mail that you receive. With the advent of the Internet, times have changed. It isn’t possible to receive the amount of used stamps that was possible just a few years ago. Disposing of “any” stamps is not in the nature of a stamp collector. Emotionally, a stamp collector does not really trade or sell off an item. Most people who get into stamp collecting do so for the fun of it. A few people buy stamps in the hopes of making massive profits. Sadly most of these individuals are going to be disappointed when they attempt to cash their “rare” stamps in for the jackpot. The age of a stamp does not determine its ultimate value. Much like books, just because a stamp could be 100 years old, it still will not make it rare or valuable. Paper comes in such a wide variety of different types it is hard to say how long it would take you to list all of them. Fortunately, you only need to be aware of only a few types. through stamp collecting, one discovers educational information about sports, science, history, arts, currency, animals, rituals and customs of different countries and their people. You will find stamps in a variety of forms. The same design that you can find on a single stamp could also be on a souvenir sheet, and/or part of a miniature sheet. What Makes A Stamp Collection Valuable? Before you decide how you are going to store your stamps, you need to do some pre-planning. One of the first things you need to do is to make sure that your storage location is dry and not subject to extreme temperature changes. When you first start to collect stamps, the color of a particular stamp will not be of any importance to you. Until you start searching for different varieties of a given stamp, only then will color differences become significant to you. Stamp collecting has traditionally been conducted through the mail and dealing with local stamp dealers. For those collectors who have a dealer in their local, buying stamps is generally pretty easy. Soaking stamps might seem to be an oxymoron idea, but in reality, it isn’t. This refers to the process of removing stamps that have been used for postage from the envelope they are attached to. Selling your stamp collection to a dealer can be a challenging adventure. Many issues will arrive that you will not have anticipated. One problem is that your stamps won’t be worth as much as you expect them to be. Getting the whole family involved in stamp collecting can spur a host of discussion possibilities between family members. Under the “talking about stamps” umbrella, an abundant stimulation becomes available. If you don’t know which stamps in your collection are subject to forging, you may not realize that you may have any fakes in your collection until you decide to sell off your collection. Once a fake is spotted in your collection, your whole collection will come under a greater scrutiny. At some point in a stamp collector’s life he or she may need to consult an expert. Fortunately stamp collecting as a hobby has plenty of such experts. Finding the stamp materials that you want can be a challenge for any collector, especially a beginning one. You have to know what is available, as well as where to obtain it. If you collect topical stamps the challenge is even greater, as there is so much material available to collectors. Reprints of original stamps are another form of stamp forgery, but only if the reprints are not identified as being a reprint or replica. The country that originally issued the stamps that are valuable may often offer reprints. Now that is it is tax season, a discussion on donating a stamp collection may be in order. I am not a tax expert and am not offering legal advice here. Today some auction firms conduct that conduct public auctions post their sales on the Internet and accept bids online as well as by fax, telephone, and in person. Many types of auctions exist, and finding out which type is right for you can be a challenge. Each type of auction has its own gray areas relative to type. The terms of sale are usually stated in the printed auction catalog or on the auction's website. Many stamp collectors, particularly newer ones, generally pass up canceled stamps for mint stamps. Mint stamps have obviously missed out on being sent through the mail and are not defaced by postal markings. Getting children hooked on stamp collecting at an early age can be a challenge. You have to keep from being too judgmental in there collecting endeavors. When you are both engaged in the hobby the children should be considered to be as equal as much as possible. What Makes A Stamp Collector? Not every person who is interested in stamp collecting is in fact a collector. Some people are simply pack rats, which seems to be a cousin to a collector. Still other folks cannot bear to keep anything that doesn’t have a perceived use. No matter how many local stamp clubs exist or how many people may attend the various stamp shows and bourses week to week, stamp collecting is generally a haven for introverts. While a stamp catalog value represents a theoretical approach to the worth of a given stamp based upon research and calculations, the market value is closer to reality. A stamp’s “market value” is the amount that you will pay a stamp dealer for a stamp, set, lot, collection or whatever. In some hobbies, enhancing and older item is condoned and generally considered to be part of doing business. In stamp collecting it is considered to be unethical at the least if not outright fraud. While many people think stamp collecting is an individual undertaking, it doesn’t have to be such. Stamp collecting is a great hobby for the entire family to enjoy. It is one way to become aware of history, geography, and much more. Every hobby has its expenses and stamp collecting is no exception to this rule. With a hobby, you have some control over how much money you want to spend on it. Granted you may not have any judgment and just jump in and spend your money recklessly. But stamp collecting can be done on the cheap. You could collect stamps for a very long time and never even come across a fake stamp. But if you actually encountered one, how would you know it is a fake? What about it should arouse your suspicions? After all a fake stamp isn’t going to come with a warning label stating that it is a fake. Stamps have three basic values: •	Catalogue value. •	Market value. •	Resale value. How Does A Stamp Appreciates In Value? One of the most frequently asked question by new collectors about a stamp is, “What is my stamp worth?.” Not an easy question to answer. Of course any given stamp is worth its face value, and every stamp catalog does list a minimum value for all stamps. Working with a stamp dealer is not the same as going down to your local hardware store to buy a screwdriver. A good stamp dealer will take an interest in what you are collecting. When you think of a “postage stamp,” you will probably think of that little piece of paper you stick on the corner of an envelope that you intend to put into the mail. How Are U.S. Stamps Designed? Even if you receive a lot of mail regularly from a country you intend to collect stamps from and you have relatives or friends in said country, you probably won’t be able to amass the variety of stamps you want to collect. You are going to need a more organized method of acquiring stamps. Over 260 countries issue postage stamps of one kind or another. As the world continues to change, with nations combining, breaking apart, or changing governments, the number of stamp issuing countries will always be in flux. Deciding which country to collect stamps from is not an easy decision. After all you have so many choices to choose from. In fact you could collect stamps from countries that no longer exist for one reason or another. The display class is a newer exhibit category. No doubt it will continue to evolve over time. The Display Class blends together two distinct aspects of stamp collecting into one exhibit. A topical or thematic exhibit should incorporate an understanding of how a stamp is produced with the development of a story based on the stamp designs. Topical/thematic collections are normally devoted to a single subjects such as ships, soccer, primitive crafts, or music. Competitive stamp exhibiting continues to evolve as time goes on. Each country’s national philatelic federation sets the guidelines for the shows that are under its control, while the International Federation of Philately sets its guidelines for the shows for which it gives patronage to. The explanation that surrounds a stamp or a set in your exhibit, and why it is included is called the “write-up” in the vernacular of competitive stamp exhibiting. Using a daily newspaper as an example, the exhibit write-up is more closely related to photo captions than to a news article. Presenting the important components of a competitive stamp exhibit is relatively simple. Refining these components, to make your exhibit a contender for the top award in any competition is another matter. However, you have to start somewhere. Being in charge of their busy lives, most people would find the enticement of other activities that would fill the emptiness that stress and pressures could bring into their existence. Once you have your own stamp exhibit on display at a stamp show, you will most likely be spending a fair amount of time nearby your exhibit, watching the reactions of onlookers. Stamp collecting is one of the most popular hobbies of many Americans and other cultures. It may be weird to some people who do not understand the joy people get from collecting stamps. Once you decide to start exhibiting your stamps, you will begin to find out many of the things that are involved in the process. You will discover things, like how other collectors look at your stamps, finding out more about the stamps you are showing, and other similar stuff. 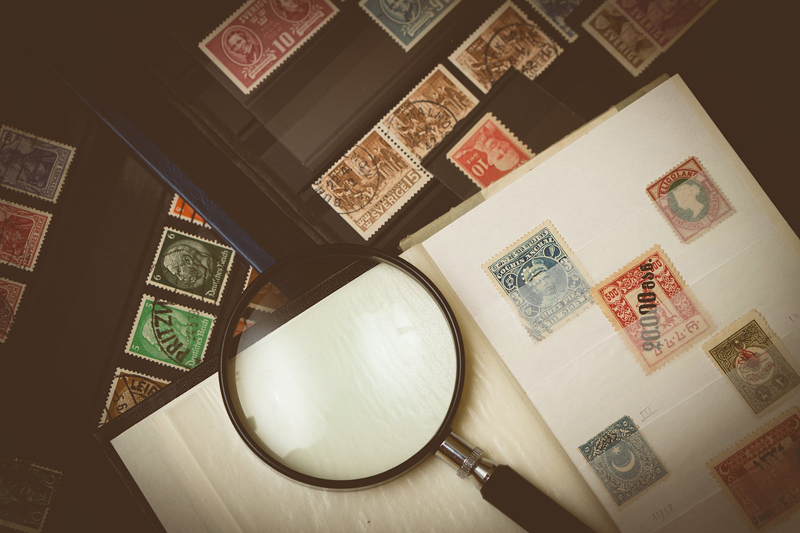 As you build up your stamp collection over time, you may develop a strong desire to show off your collection to other collectors, your friends, and family. You may even fantasize about showing your collection to people beyond your immediate circle of friends and family. Helping your children start and grow a stamp collection can be a big positive factor in reading development. You could collect stamps for a lifetime, while enjoying the collecting experience immensely, and never come upon a fake stamp. . But if you come upon one, how would you know that the stamp is a fake? Many stamp collectors observe the price value of special stamps and limited edition stamps. They take it as an important source for their investment and profit. Over the years, much has been said and written about involving the youth in stamp collecting. A true interest in stamp collecting is best developed from within one’s own family. When analyzed from the outside, stamp collecting is little more than a bunch of data, text and illustrations. Over the years a number of software programs have been introduced for stamp collectors. Collecting stamps, for some people, is more than just a hobby—it’s a lifestyle. In fact, the world has been witness to decades upon decades of stamp collecting. There are a number of ways to use the Internet to connect with other stamp collectors. There are specialty clubs online that one can join, depending on what your particular interests are. Specialty stamp groups are as varied as the stamps they specialize in, and of course they vary considerably in size. You can make stamp collecting friends many different ways, both locally, or from far away. You never know when a fellow stamp collector can help you complete a part of your collection. Although being a solitary stamp collector has its advantages, the time will come when you may want to find some other folks to share the joys of your hobby with. Man is not a solitary creature we crave social interactions, no matter how much some people claim otherwise. Once you have exhausted your own neighborhood, it is time to venture further out to look for new acquisitions for your collection. Stamp collecting is a very popular hobby that has been around for a long time. The hobby has been so popular that some philatelic enthusiasts take it to serious levels involving money. Stamp investing has become a serious business, so serious that it goes way beyond normal stamp collecting. One man’s trash is another man’s treasure. I am sure you have heard this time worn words of wisdom. This can apply to you if you inherited a stamp collection from a relative. Stamps have been a ubiquitous part of everyday life. After all, stamps are one of the ingenious ways devised by the postal services in order to facilitate payment for the delivery of letters, mail equivalents, packets, and the like. While a stamp’s catalog value represents a theoretical approach to the worth of a stamp, the market value is the true reality of a stamp’s “real” value. Market value is the amount that you pay a dealer for a stamp, set, lot, collection, etc. Many beginning stamp collectors believe it is best to collect stamps within a group or at least in some type of environment within which they can share their experiences and question with a group. For some collectors, this is the best way to start. Stamp Collecting may start on a simple gift of stamps given to another person. This can give him the interest in becoming a stamp collector. He could also start collecting by considering it as a hobby. As the old adage goes, you will never see or realize the value of something unless it is gone. What Is A Stamp Worth? In most states and counties, it is common to find a variety of groups catering to the hobby of collecting stamps. People engage in stamp collecting as a general interest; other times they are in it because of the possibility of profit in collecting rare stamps. People who have plenty of time to spare can do a lot of things. Some suggest of getting of getting into sports while others can get a hobby. From 1185 to 1908, the Congo Free State was a corporate state owned by the Belgian King Leopold II. The king was the sole shareholder and chairman of the Association Internationale Africaine, a dummy corporation with no direct connection to the Belgian government. Most postage stamps are nothing more than small fragile pieces of paper. One cannot emphasize the “fragile” nature of stamps enough. While stamps are nearly always printed on high-quality paper which should last for a very long time, a stamp’s longevity can be cut short by improper care. Rhodes is an island that lies 11 miles off the southwestern coast of Turkey. It is the largest of the Greek Dodecanese islands. Rhodes has changed ownership many times over the centuries. It has been part of the Persian, Macedonian, Roman, Byzantine, and Ottoman empires. Stamp paper comes in so many varieties that you would need at least a couple of days just to lint them. However a decent understanding of the basics of stamp paper is useful. Paper identification can be a critical factor if you intend to collect early issues of some countries. Even before many philatelists thought up the hobby of stamp collecting, it is rather obvious that the act of exchanging letters through a centralized system that would recognize stamps as payment to cover carriage costs would have to be put in place. The internet has changed how people send mail. Until such time that technology finds a way to transport packages in the same manner, stamps will still be used to get documents and parcels from one destination to another. San Antonio, Texas, is just one of the many places worldwide that is hooked on the more-than-century-old craze of philately—the study of stamps, and stamp collecting. It had its beginnings alongside the national consolidation of stamp collectors and enthusiasts. On May 7, 1945 Field Marshall Alfred Jodl signed an unconditional surrender on behalf of Germany’s military forces. The signing took place at General Dwight Eisenhower’s headquarters in Rheims, France. This event marked the end of Hitler’s ambitions. You may already be familiar with the types of magnifying glasses that one normally associates with Sherlock Holmes. This would be a round convex glass or plastic lens attached to some type of handle. In mid-December 2008 the Media repeatedly used the term â€œPonzi Schemeâ€ to describe Bernard L Madoffâ€™s investment scandal. Few people are even aware of what the original Ponzi scheme was. The original scheme is named after Charles Ponzi, an Italian immigrant. Identifying a stamp can sometimes be a tricky process. Even some of the smallest details can make a big difference. There are two Christmas stamps that feature a picture of Santa Claus on a roof. The only difference between the two is that one of the stamps shows an extra brick in the picture. How to Keep Stamps Fine-and-Dandy! Exports of various collector items such as antiques, artwork, and stamps can be a thriving niche market. Stamp collecting has become one of the most loved hobbies of people throughout the world. A stamp contains a piece of time and a piece of place and that’s why people love collecting them. Most stamp collectors are aware of the basic purposes that most stamps have such as air mail, general postage, stamped envelopes, post cards, etc. Some people find that they want to move on to other interests. If they like collecting truck memorabilia, they have probably collected everything imaginable within their budget. Stamp collecting is a worthwhile hobby. Stamp collecting and philately as well are popularly shared by many people all over the world as their favorite past time. It is one educational endeavor where a person can spend considerable effort and time. Stamp collecting does not have any rules! You are free to collect how and what you want, only limited by your budget. Of course with that said, you really need to know what stamps are available to collect. Not everyone who is interested in stamp collecting is a collector. Seems somewhat strange, doesnâ€™t it? If you are interested in stamp collecting, wouldnâ€™t you be considered to be a collector? You can be interested in stamp collecting for many reasons and still not be a stamp collector. The adhesive substance on the back of stamps is called bum. The term derives from the words gum arabic which is a derivative of the acacia tree found in Africa. Before the introduction of self-adhesive stamps, additional forms of gum came into use in stamp production. There may come a time when you need to find out how much your stamp collection is worth. Depending on where you live, there may not be a company near you that you could trust to do an appraisal of your collection. Once people have their basic survival needs met, they often turn take up hobbies and sports activities to fill up their spare time. Many people take up stamp collecting as a hobby. Of course most people collect stamps for the fun of collecting rather than having any financial gain in mind. In order for the hobbyist to maintain an existing collection, this should be stored in a safe place free from dirt and other problems. In essence stamps are nothing more than small pieces of paper. One can not emphasize the fragile nature of stamps enough. Disposing of a stamp collection isn’t in the nature of most stamp collectors. From an emotional viewpoint stamp collectors do not really trade or sell stamps. With a great auction title and a good description you should have gotten some bids on your auction. Once the auction has ended you need to contact the winning bidder and provide them with a complete price including the shipping costs and how to send their payment to you. When you have your stamp lots sorted out and made up, you will need to scan them or take clear photos of them. Once this is done you are ready to start posting them to the online auction. In order to sell your stamps at an online auction site you will need to register as a seller. If you have been online for any length of time, I am sure you are aware there a number of online auction sites in existence. Of course nearly everyone has heard of eBay, but it isn’t the only auction site on the web, just the biggest and most well known. Once a stamp collector gets beyond the beginning stages of stamp collecting, the urge comes to make the hobby pay for itself. Of course this isn’t as easy to do as one might think. There are purists that believe it is sacrilege to try to make money collecting stamps. While stamps are the fuel that runs our modern postal system, they didn’t always exist. In the 1840s British letter recipients had to pay to receive their letters. If you want to stand out from your competition, you are going to have to do some things to do so. This article will show you how to get ahead of your competition. You should continually evaluate your auctions. You must figure out what wording and what pricing works best. Are all of your stamp auctions selling successfully? Once you have picked a suitable category for your stamp auctions and have written a good description, you need to state what your auction policies are towards the end of the description. The auction title’s job is to attract the attention of prospective bidders. Once that is done, it is the auction description’s job to get them to place a bid on your stamps. After scanning the stamps, you may need to do some tweaking to the various stamp’s images. If the images are not straight, you will need to rotate the image until it is straight in appearance. Now that you have acquired some stamps and have them organized, it is now time to prepare them for resale. Remember to always handle your stamps with stamp tongs! This point can never be emphasized enough. Next we will cover some steps on how to sell your new stamps for a profit. There are many reasons why people collect stamps. Some people collect stamps to learn history, to relive their own histories. Other folks like to look at stamps and enjoy the feelings and emotions that they evoke. And other people collect stamps for investment purposes. You will need to set up some type of a work area where your stamps can be spread out and not be damaged. Ideally this would be a separate room with a big desk and a computer. Unfortunately, we do not live in an ideal world, so you will have to make do with what you do have available. To really make money selling stamps, there is some equipment that you will need. You may already have some of these items in your possession right now. Stamps are one of the easiest and most lucrative items yon can sell at an online auction. They can easily be sold for many times the amount that is paid for them, if you know how. Once you do know how it is possible to sell the stamps for up to 100 times the amount you paid for them. One good thing about stamp collecting is that the tools and supplies for it do not cost a lot in comparison to taking up golf for example. Golfers can spend an amazing amount of money on new clubs, pitching wedges, putters, and other golf accessories. Much like coins are counterfeited or altered, stamps can also be faked, altered, and forged. Since stamps are one of the most collected items in the world, you really need to learn how to spot a fake or altered stamp. As you already know, stamp collecting is a worthwhile and fulfilled hobby. But you may not be aware that collecting stamps could be a lucrative hobby. One of the most exciting ways to collect stamps is to process them while they are still attached to envelopes. It’s a bit like detective work, and doing so is pretty fun and exciting. For the uninitiated, stamp collecting is the hobby of collecting stamps from around the globe. Technically, a stamp collection is a philatelic collection. Collecting and bringing stuff together is fun and it can be rewarding too when your collection gets noticed by other people who may even want to buy your collection. People collect all kinds of things like dolls, cars, toys, etc. But for some, there is nothing like collecting stamps. Life is an art. And so goes a saying. But where people find things of profound interests, experts say that it is a form of art as well. Like any hobby, stamp collecting has its own lingo. If you are going to be a serious collector, you need to know the lingo. Stamp collecting as a hobby dates back to the 1840s, when the first stamp known as the “Penny Black” was issued by Great Britain. Many stamp collectors observe the price value of special stamps and limited edition stamps. They take it as an important source for their investment and profit. Specialized collectors limit their interests on searching only the stamps that they may think have great values and price. Supplies You Need for Your Stamp Collection? Stamp collecting has been one of the most favorite legacy hobbies among stamp enthusiasts. This hobby dates back to as early as 15th and many interesting stories related to this hobby abound. People have different hobby. They can dedicate their free time to anything that makes them interested and happy. As such, the choice of hobby of any person will also tell a lot about his or her personality. Stamp is one of the most popular hobbies among Canadians. Canada has great respect on Stamp collecting which dates back to as early as the 17th century. Stamp collecting is an enriching hobby because it has educational and cultural value. In about six months, you will have learned about countries and special events, and a lot about the stamp collecting industry as well. Much like coins, stamps also have grades assigned to them. The grade of a stamp refers to the stamp’s condition. Obviously the first step in starting your collection is to acquire some stamps. Many beginning collectors hardly pay for anything when they are just starting their collection. Thank goodness, stamp collecting is not as expensive to pursue as skiing or golf, where the tools and equipment can cost thousands of dollars. Plus ski and golf clothes can be expensive in their own right. Stamp collecting terminology does not end with the basics. As you become more sophisticated in your collecting endeavors, you may be motivated to begin visiting stamp dealers and some stamp shows. Like any hobby stamp collecting has its own jargon and terminology that the beginning collector needs to learn. Terms that relate to stamp collecting are very important and help the collector know more about the particular stamps they are collecting.